If having trouble, view in BROWSER. 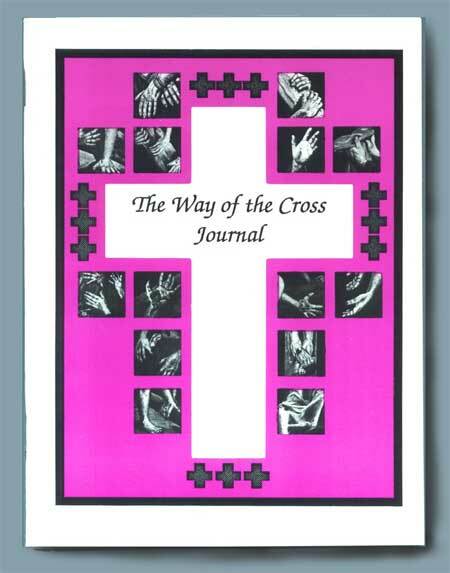 The Way of the Cross Journal is a series of unique, reflective images of the Via Dolorosa, telling of Jesus' journey toward death and resurrection. 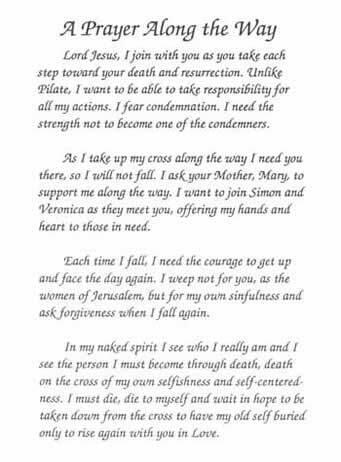 At each station, as witnesses along the Way, we are invited to reflect on the scripture, meditate and pray. View Cross Pins for Select Groups for Lent. Also Available as a MasterSet. The Stations can be displayed in the lobby or foyer of the Church, School, or Parish Center. They can be posted on a bulletin, wall of a classroom, corridor or hallway. 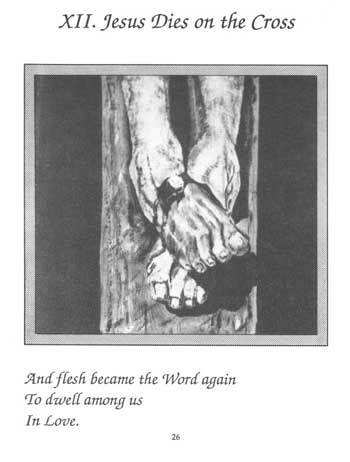 These are the same images as depicted in The Way of the Cross Journal and can be used for a communal praying of the Stations. 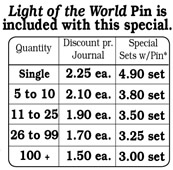 for Journals, Pins, and hard copy MasterSets.